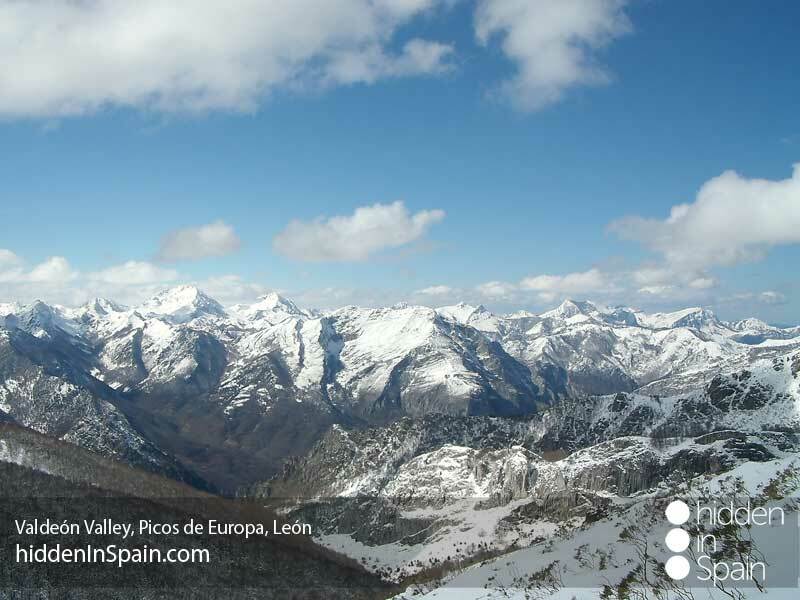 Did you know that León, in northern Spain, is the area with most Biosphere Reserves in the world? I thought I loved León just because I was born there but things like this make me realize the REAL reason. 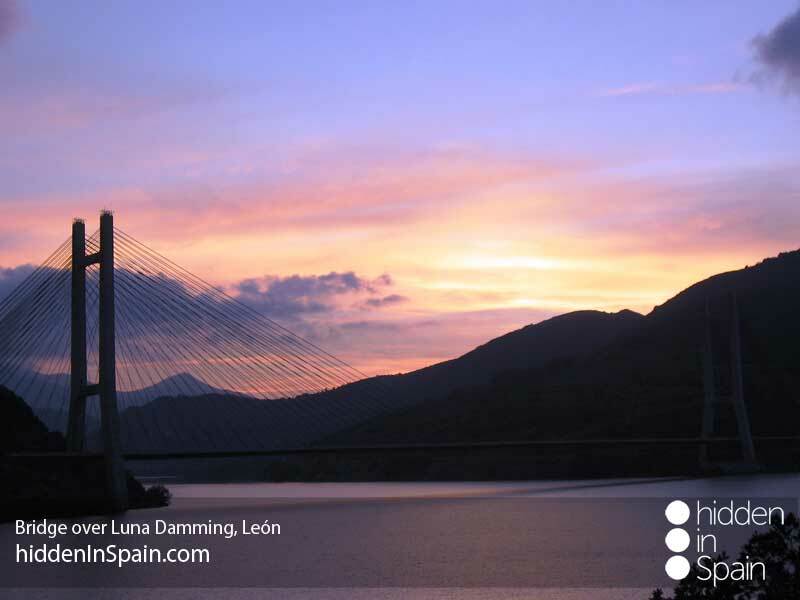 There are so many beautiful places to be visited in León that I wouldn’t know where to start from. Unluckily we (I mean the people in charge of promoting the area) have never known how to sell León as a touristic place so not many people will know all this you are about to discover. 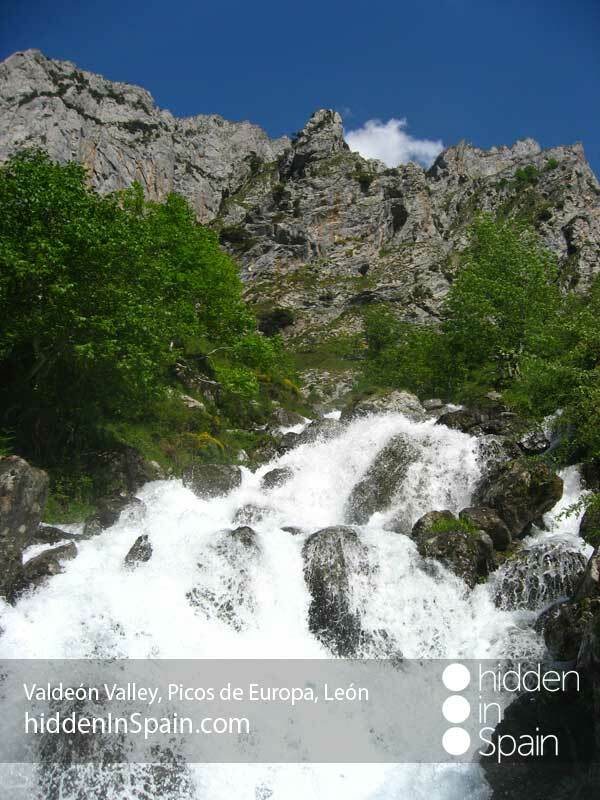 1.- The Valley of Laciana: is located near the headwaters of the River Sil in the Cantabrian Cordillera, to the north of the Province of Leon, bordering with Asturias. 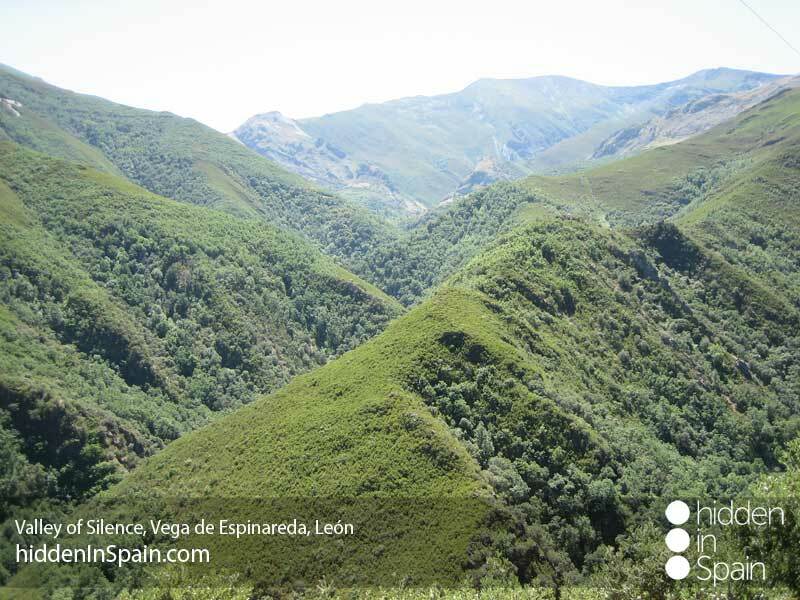 The area has a wide range of altitudes, with the consequent wealth of landscape and valuable habitats: limestone Oak groves, rocky outcrops, mountain grasslands, Birch-groves, Yew forests, scrubland, numerous rivers and riparian forests in a good state of conservation. The mountain grasslands have traditionally been used by the transhumant sheep flocks from Extremadura and cattle for the Asturian “Nomadic cowherds” (vaqueiros de alzada). This has given rise to scrubland with Broom, Bilberry, and grasslands suited to the Broom Hare, endemic to the Cantabrian Cordillera, the Grey Partridge and the large wild ungulates such as the Roe Deer, the Chamois, and the Red Deer, and their main depredator, the Iberian Wolf. There are also endangered species such and the Brown Bear and the Western Caper- caillie. 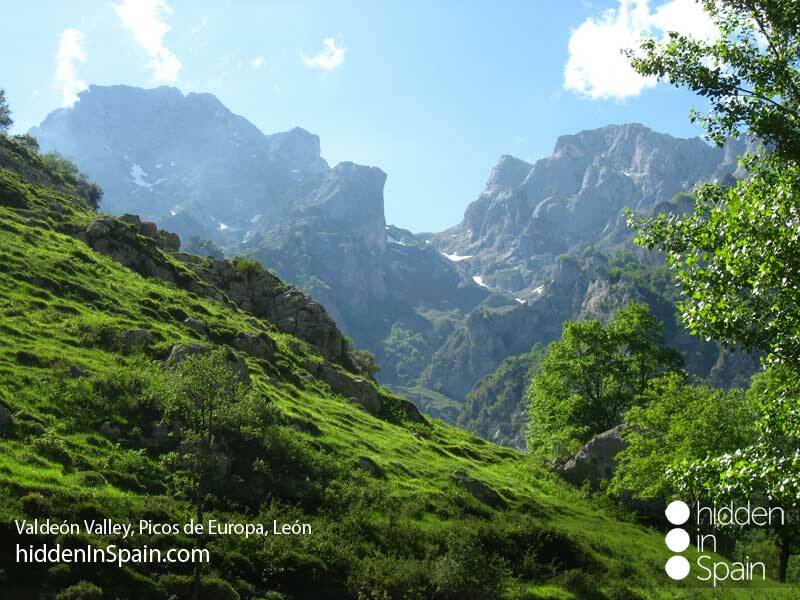 2.- Picos de Europa: Perhaps the most famous of all of them. 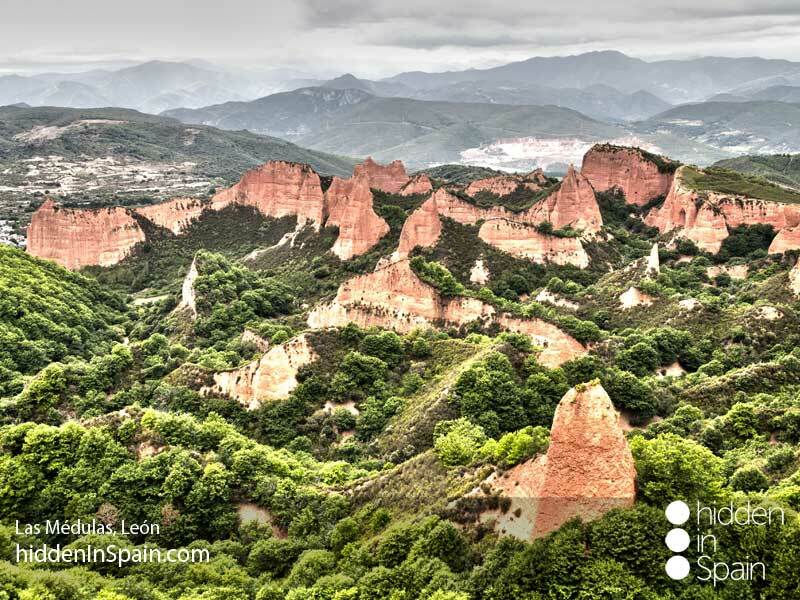 It is located on two different geological formations: the Picos de Europa limestone mass and a fraction of the central Cantabrian Cordillera. The land- forms are abrupt with steep slopes modelled by fluvial incisions, Karstic dissolution and Glacial and Periglacial processes. A temperate humid Atlantic-type climate pre- dominates, where the great variation of altitudes, lithological diversity and ancestral human presence have given rise to a great variety of landscapes. The vegetation includes large pure or mixed forests of Beech, Pedunculate Oak, Birch, Holm Oak and gallery woodlands with Aspen, Ash, Willow and Alder. Livestock-raising is done in the vast meadows and grasslands interspersed with gorse and heath scrubland. In the higher areas, creeping Junipers grow close to the ground to avoid the lethal effect of frosts. As a whole there are over 1,600 species of phanerogam plants in the Biosphere Reserve. The fauna is also very diverse, including the Wolf, Brown Bear, Chamois, Western Caper- caillie, Golden Eagle, Alpine Newt, Atlantic salmon and some other seventy species of vertebrates. There is also a great variety of bats and little known fauna associated with the sinkholes, that in some cases are over 1,500 m deep. 3.- Babia: This region is a mountain ecosystem where conservation of natural resources and their use have been excellently combined. 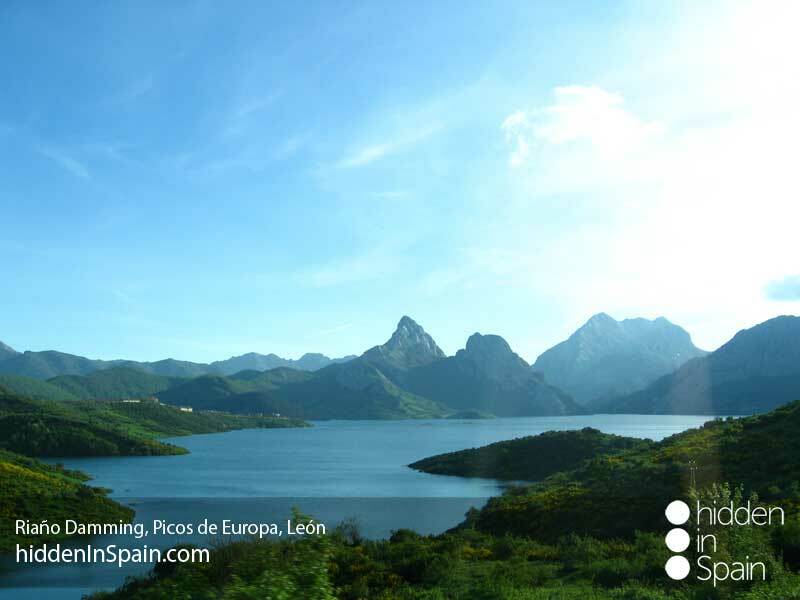 The Reserve is delimited by 2 high and rugged mountain ranges, with crests above 2.000 m. in most of its area, lying in an East-West direction and the wide flat valley of the rivers Luna and Sil in between them, at 1.300 to 1.100 m. above sea level. There are woody formations (Beech, Birch, Oak) pointing to the existence of a tree cover that once covered most of the territory, and meadows and grasslands growing on the previos tree-covered territories, which have enabled the present human communities to subsist, basing their economy on stock-raising. The biological diversity of Babia is apparent in the quantity of interesting endemic species of flora and fauna to be found in the territory such as the endangered Cantabrian Brown Bear, the Gray Partridge and the Broom Hare. Also numerous birds, various species of bats and very well conserved rivers that host a rich fish population. The flora is of undoubted interest with numerous endemic Iberian species such as Saxifraga babiana and Centaurea janeri ssp. babiana. 4.- Alto Bernesga: The wealth and biodiversity in the Alto Bernesga Biosphere Reserve is exceptional because of its biogeographical location in the transition areas between dry Spain and humid Spain; that is to say, between the Mediterranean region and the Euro-Siberian or Atlantic region. The flora includes high mountain grasslands in the crags, rocks and passes; Oak-groves, acidophilous OroCantabrian Beach trees, Euro-Siberian riparian forests of Willow and Poplar trees; with the presence of endemic plant formations such as the Sabina Albar forests and OroCantabrian Oak-groves. In terms of fauna, special mention should be made of the bird life, with some endangered species such as the Red Kite, the Egyptian Vulture, the Peregrine Hawk, and the Golden Eagle. In addition to a diversity of flora and fauna, the Reserve is also of great paleontological value due to the Devonian seafloor fossil sites. This wealth con- tributes to making Alto Bernesga very attractive to researchers and students from all over the world who visit these unique sites as there are only three similar ones and they are not as accessible. 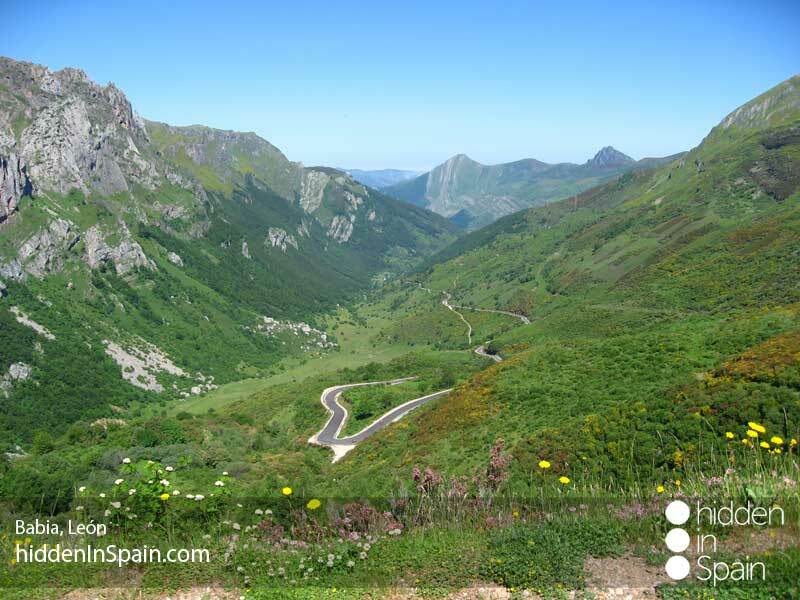 5.- Los Argüellos: is an example of a Cantabrian mountain ecosystem where for centuries the population has made wise use of the scant resources, thus shaping a unique landscape. It includes geo-morphological characteristics of undeniable attraction such as the cave of Valporquero, Llamazares and Barredo, of great touristic and scientific interest. 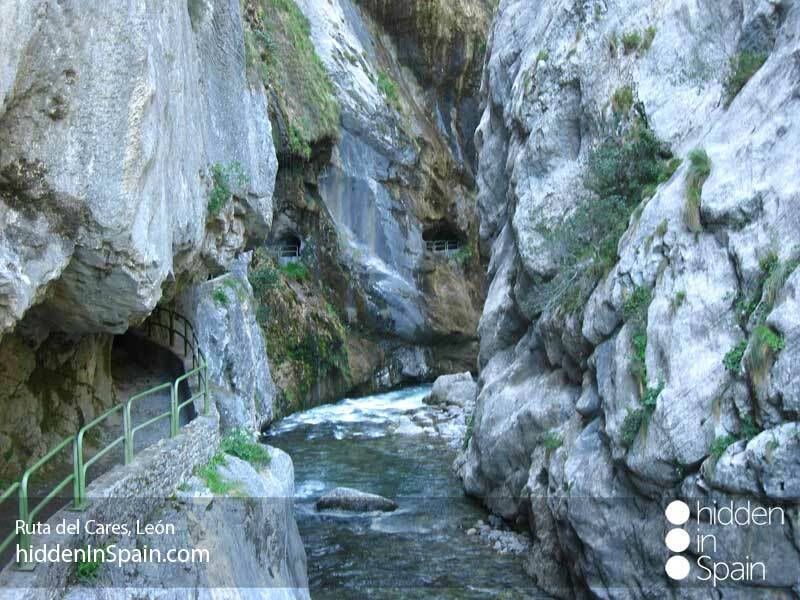 Modelled by the action of water are the spectacular gorges of Vegacervera and Valdeteja. A varied vegetation is present ranging from Alpine grasslands to an abundant series of endemic species as the forest of Juniperus Spp, to the oak groves of Quercus pyrenaica. Other ecosystems such as the sub-steppe areas of anual grasses, active highland peat bogs and tufa-forming springs are noteworthy. 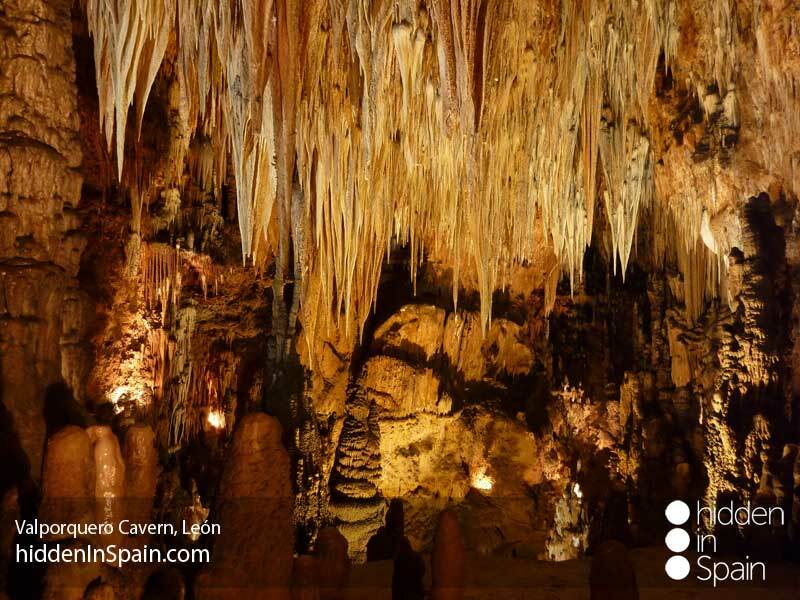 The high number of caverns are home to 15 of the 26 species of bats in the Iberian Peninsula. Many birds of prey, the Grey Partridge and the Broom Hare can also be found here. We cannot forget to mention the endangered Brown Bear. 6.- Omaña and Luna Valleys: are the result of a farm system that was basically established during the Middle Ages and continued to be operational until the middle of the last century. This system included, associated to each inhabited nucleus, land allocated to grasslands, woods to supply timber and croplands. The high mountain land-scapes in the extreme north, west and south of the Reserve are noteworthy because of their high ecological value, in addition to the landscapes modelled by human and live-stock activities, scattered all over Omaña. The Reserve harbours a good number of singular species of fauna and for some this is the limit of their southern distribution. Thus we find seriously endangered species such as the Brown Bear and the Western Capercaillie and species endemic to Cantabria such as the Broom Hare or endemic to Spain, such as the Iberian Desman, in addition to very singular species such as the Grey Partridge, the Wolf and large populations of Trout, with very specific characteristics adapted to mountain water courses. In general the bird, mammal, amphibian and reptile communities are widely and richly represented. The zone has considerable and interesting flora, with numerous species endemic to the Iberian Peninsula. It conserves samples of deciduous and marcescent forests in excellent condition. To be noted are the Birch groves, considered to be unique in the Iberian Peninsula, the vast Quercus Pyrenaica groves and the presence of clumps of an- other recently described (2002) species of Oak (Quercus orocantabrica). Also of interest are the riparian forests, combined with traditional agro-systems in a mosaic of out- standing landscape and cultural value. 7.- Los Ancares: it possesses its own differentiating elements that provide the area with an identity and give it an outstanding value and variety. The Cordillera is home to woodland formations together with prairies and grasslands growing on the old tree-covered territories. There are many scrubland formations, often grassland areas that were abandoned and are progressively being regained by the original forest and other areas of scrubland and grassland. The varied lithology have enabled many plant species, some of them of particular value, including some fifty Iberian species. Fauna is amply represented with over 200 species of vertebrates recorded. There is also a relevant representation of birds of prey and the presence of the Capercaillie is indicative of the importance of the area in the maintenance of biodiversity as this species is one of the signs showing the persistence of highly valuable habitats. The Brown Bear is also living in this area yet. Want to know a little bit more and see some pictures? Click on this link! !